How long should porcelain veneers last? 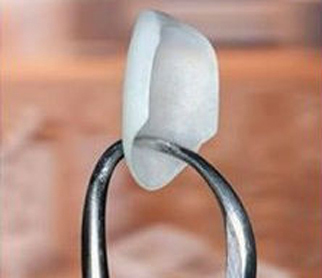 Yes, porcelain veneers should last longer—much longer—than six years. If quality veneers are properly bonded to your teeth, and if you take proper care of them, they can last 15 to 20 years. You are nowhere near the lifecycle of quality veneers, so quality must be the issue. Brand – It is possible that the dentist who placed your veneers chose an inferior brand. That occurs sometimes to keep costs down and make getting veneers more enticing for patients. But as you have experienced, if they don’t last, what good is it? Bonding – Another possibility is that your veneers were not correctly bonded to your teeth. It takes a lot of skill and the expertise of a highly trained cosmetic dentist to bond veneers to last. If they are poorly bonded or weak, they can chip. Unfortunately, you probably do need new veneers. This time find an experienced cosmetic dentist in your area. If you can find one who is accredited, or who has extensive training in aesthetic or cosmetic dentistry, it will help you get amazing results. Select a few top cosmetic dentists first, have consultations with them, and compare your options before you select a provider for your new veneers. This post is sponsored by Lowell, MA American Academy of Cosmetic Dentistry accredited cosmetic dentist Dr. Michael Szarek. Patients with poorly controlled diabetes have delayed osseointegration (the healing period when implant and bone fuse). Sinus lifts and bone grafting are successful in patients with fairly to well-controlled diabetes. After one year, the status of the implants is equal in healthy patients and patients with controlled and uncontrolled diabetes. In the long-term, there is an increased risk of periodontal disease in diabetic patients. Within the first six years, the implant survival rate is the same for diabetic patients as it is for healthy patients, but in the long-term (up to 20 years) diabetic patients have a reduced implant survival rate. Whether implants can be placed for a person with diabetes is determined on a case-by-case basis. In advance of implant surgery, your father’s dentist will review his medical history to determine if he is a candidate for the implants. 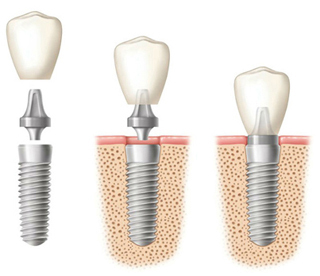 The implant dentist will give instructions about how the medication should be taken the day of the surgery. All patients with diabetes who receive dental implants should be diligent in doing their part to keep diabetes under control. Maintaining well-controlled diabetes is an important factor for the continued success of the dental implants. Schedule consultations with two to three implant dentists to discuss your father’s medical history and the anticipated outcome for dental implants. After an oral surgeon places dental implants, a skilled cosmetic dentist restores the implants with lifelike porcelain crowns. No one will be able to distinguish your father’s implants from his natural teeth.